With education, inspiration, action (and hundreds of attendees) a tradition was born. At Natural Products Expo East 2016, Climate Collaborative founders Lara Jackle Dickinson of OSC2 and Katherine DiMatteo of the Sustainable Food Trade Association presented their concept in a panel discussion (along with three supporting brands). 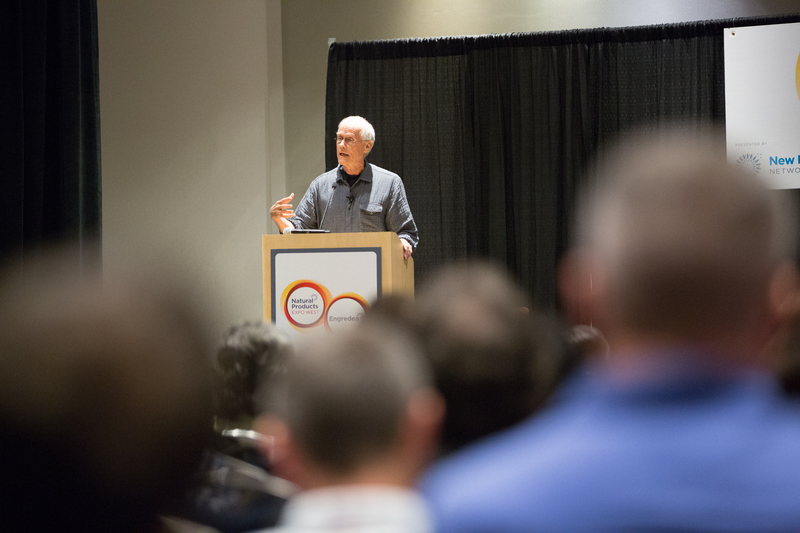 The 75-minute session filled most of the 80 seats in the far hallway of the Baltimore convention center as the panel shared their idea: to feed the craving for coordinated industry action to address global warming. “I was recognizing in OSC2 meetings that we just kept talking about climate and supply chain issues,” says Dickinson. And not just conceptually. Specific issues that were affecting businesses—like drought, crop shortfalls and other unpredictable supply chain issues—were coming up. Some 600 attendees filled the seats over the day with another 1,500 live-streaming remotely. The structure for this came from Climate Collaborative’s survey of industry leaders. The majority of those polled agreed that we have five years or less to act, says Dickinson, “and the vast majority agreed that we can and must do more.” But the query also revealed barriers. First, that climate action was often not a business priority. Second, that companies weren’t sure what would be the most important actions to take. 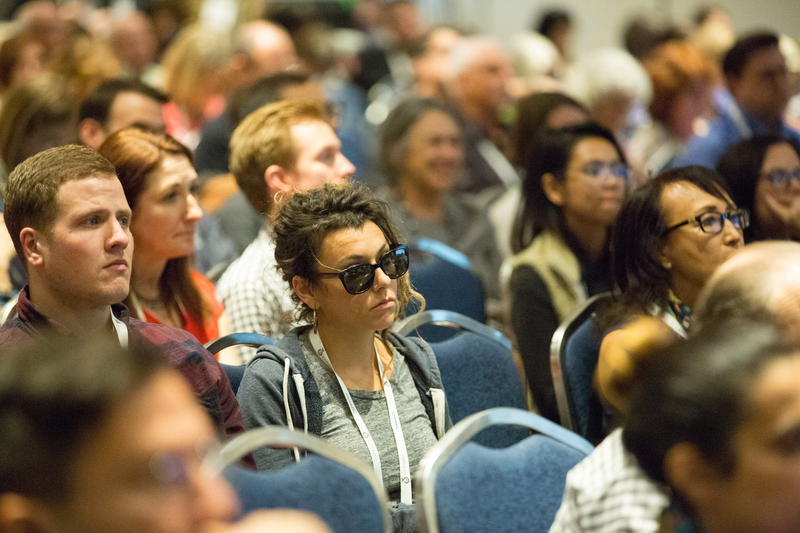 In addition to the full day Wednesday, Expo West’s climate track included educational workshops on Friday and Saturday, covering packaging, agriculture, renewable energy and plant-based diets. Education and inspiration flowed freely throughout the sessions, and Wednesday afternoon of Climate Day, companies made verbal commitments to what actions they would make over the coming year. As an inflatable wireless mic bounced around the room, company representatives from Natural Habitats, 18 Rabbits, Califia Farms, Annie’s, Big Tree Farms and many others stood and made commitments. Dr. Bronner’s committed to eight of the nine areas. AlterEco and Nature’s Path hit all nine. Some 15 companies made verbal commitments on site and nearly three dozen companies are listed on the Collaborative’s action page —which is where any company can go at any time to join the crusade. Several companies made cash contributions to support Climate Collaborative, along with their commitments. Any company (large or small) and any commitment (one or nine) received great applause. To be part of the Collaborative requires no membership. Just commitment. “The goal of this is to make absolutely no barriers to entry for any company,” says Dickinson. Recognition will also show in the form of awards. Brands who register for the Climate Collaborative are eligible based on level of progress and impact. Judges are being selected now, and awards will be issued at future events. OSC2 wins 2017 Environmental Stewardship Award!